I penned the following short-story, set in the year 2017, as a series of conversations between a twentysomething daughter and her mid-50s father. The father is a heretic of the church of catastrophic human-induced global warming/climate change. The daughter, Anna, is a believer. 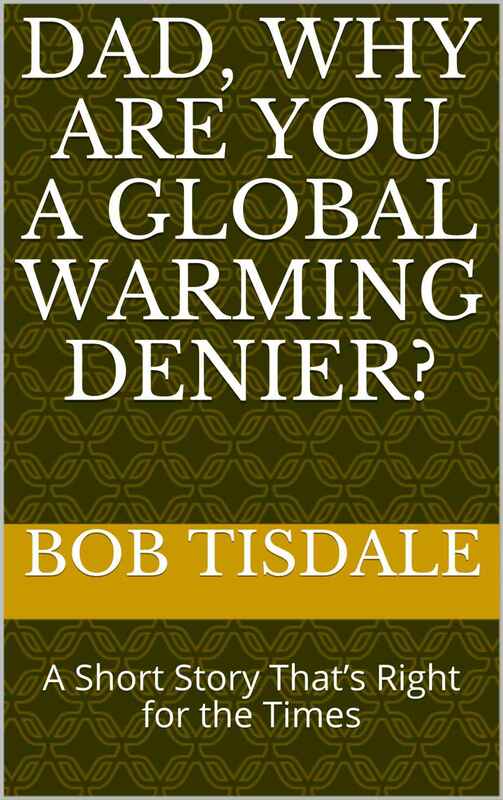 This work includes quotes from the IPCC (Intergovernmental Panel on Climate Change) and a well-respected politician. It also includes 22 illustrations, most of which are in color. And there are hyperlinks for those of you using Kindle readers where hyperlinks will work. To put that in perspective, the hyperlinks worked on my Kindle Paperwhite, all but the links to .pdf documents, which were not supported. Dad, Why Are You A Global Warming Denier? is more than 26,000-words long—way too long for a blog post. The work also includes a very basic, but extremely important aspect of El Niño events that I don’t believe I’ve ever presented before in a blog post or in my free ebook on ENSO. But I do recall mentioning that aspect in a few passing blog comments over the years. I’ve also included numerous quotes from Margaret Thatcher’s memoire Statecraft, all from the heading of Hot Air and Global Warming, many of which I have not been able to find readily online, but they are definitely worth reading. As I wrote in the closing comments of the short story, I also have to thank the very dear friend who edited this short story. She made it much, much easier to read. As in the past, she has asked to remain anonymous due to the political nature of the global warming debate. Any remaining typos and grammatical errors are mine, not hers. I had a lot of fun writing Dad, Why Are You A Global Warming Denier? I hope you learn something, many things, from it while having fun reading it. Back atcha, Alec. A Happy and Healthy New Year to You and Yours!!! Bob is back! Joy, joy, joy! I hope you prosper in the upcoming year and remain healthy. I’v already downloaded your new book and will read it posthaste. Thank you. I’m glad you’re back again. Happy New Year! I bought your new book now and I start reading at once (it doesn’t matter that it’s after midnight in Germany). Thanks, Werner. Hopefully it won’t put you to sleep. Happy New Year, Bob. Ali and I raise a glass, and will try your book. after reading about half of your new book I can only congratulate for that clear and easy to understand explanation what’s going wrong with climate science. I’d wish that a lot of people will read it and get insight about how we are manipulated by politicians, fanatics and climate “scientists” who drop their scientific integrity to advance their career. This is not the scientific ethics I learned when I studied Physics 35-40 years ago. In Germany the situation may be even worse because the environmental activists have much influence and only few people are well informed. It would be so good and eye-opening if there were a German version of your excellent book. Everybody: Read Bob’s previous works to get much more detail on the topics of his latest book. Must reads for those interested in SST’s, ENSO, etc. Pingback: The New RSS TLT Data is Unbelievable! (Or Would That Be Better Said, Not Believable?) A quick Introduction | Watts Up With That? Pingback: Friday Funny: Yet Another Celeb Chimes in on Climate Change | Watts Up With That? Pingback: Another Look at Michael Crichton’s ‘State of Fear’ – Part 1 | Watts Up With That? Pingback: FRIDAY FUNNY – At Long Last, Kevin Trenberth’s Missing Heat May Have Been Found! Repeat, May Have Been | Watts Up With That? Pingback: Do Doomsters Know How Much Global Surface Temperatures Cycle Annually | Watts Up With That? Pingback: Alarmists Will NOT Like This Part of the Recently Published U.S. Climate Science Special Report | Watts Up With That? Pingback: What Was Earth’s Preindustrial Global Mean Surface Temperature, In Absolute Terms Not Anomalies, Supposed to Be? | Watts Up With That? Pingback: EXAMPLES OF HOW AND WHY THE USE OF A “CLIMATE MODEL MEAN” AND THE USE OF ANOMALIES CAN BE MISLEADING | Watts Up With That? Pingback: GISS Makes a Useful Reference Disappear from their Land-Ocean Temperature Index Data Page | Watts Up With That? Pingback: WMO Reasoning behind Two Sets of “Normals” a.k.a. Two Periods of Base Years for Anomalies | Watts Up With That? Pingback: Have The Poorest Countries Been Hit Hardest By Climate Change/Global Warming? | Watts Up With That? Pingback: “…it is the change in temperature compared to what we’ve been used to that matters.” – Part 2 | Watts Up With That? Pingback: “…it is the change in temperature compared to what we’ve been used to that matters.” – Part 3 | Watts Up With That? Pingback: Global Mean Surface Temperature: Early 20th Century Warming Period – Models versus Models & Models versus Data | Watts Up With That?